I have been wanting to make one of these for some time now and I finally have it; well most of it. When completely finished I will be able to attach the rails to my tripod for easy height adjustment. 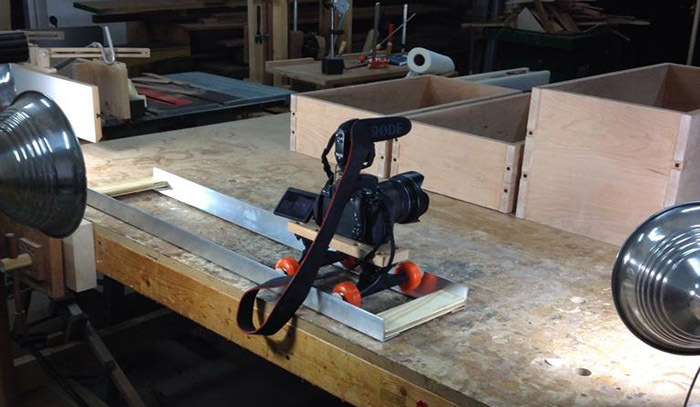 I shot one scene with it so far and I am happy with the results (see part 4 of the G&G Desk Build this Friday). 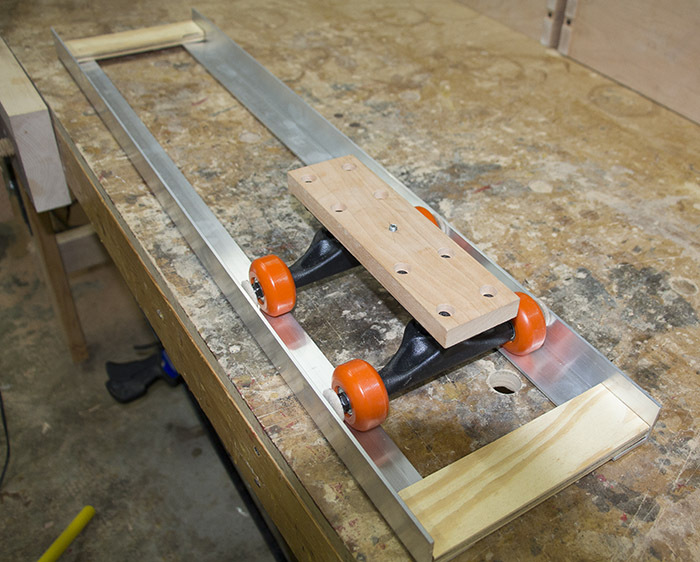 It’s made from two aluminum angles, scrap plywood, and a $15 Walmart skateboard. This entry was posted on Wednesday, September 3rd, 2014 at 10:25 pm	and is filed under Film. You can follow any responses to this entry through the RSS 2.0 feed. You can skip to the end and leave a response. Pinging is currently not allowed. Very Nice. Looks like a t3-4i cannon. What lens ? What do you use to edit ? BTW Very nice build. I use Premiere to edit. Even cameras have skateboards now.